If you're experiencing inflammation or pain pinpointed around the roots of your teeth, you may be in need of a root canal. Most patients are a little confused as to what a root canal procedure actually entails. First and foremost root canals are painless before we begin the procedure will make sure you are completely numb. A root canal is a procedure we use to save and preserve natural teeth. Anytime the nerve of a tooth becomes infected or damaged a root canal is required to repair the tooth. Common causes of nerve trauma are chipped or broken teeth and excessive tooth decay. The procedure is very simple, at the center of a tooth, you will find dental pulp. The pulp is made up of blood vessels, tissue, & nerves, once this area has become infected it has to be removed. Your dentist will begin by drilling a small hole into to the pulp chamber where the nerve is located. Once the chamber has been breached tiny files are used to remove any infected tissue. 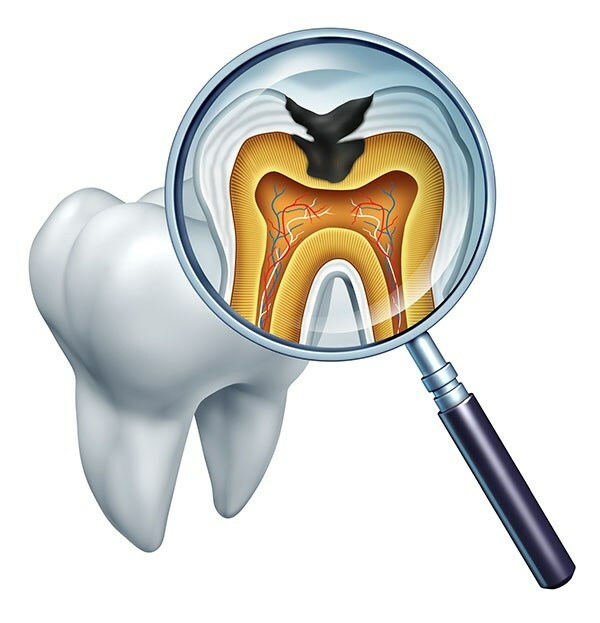 After the never and damaged tissue has been removed the tooth is then filled with a sealant. The last step in the process is to close the tooth with a crown or filling.